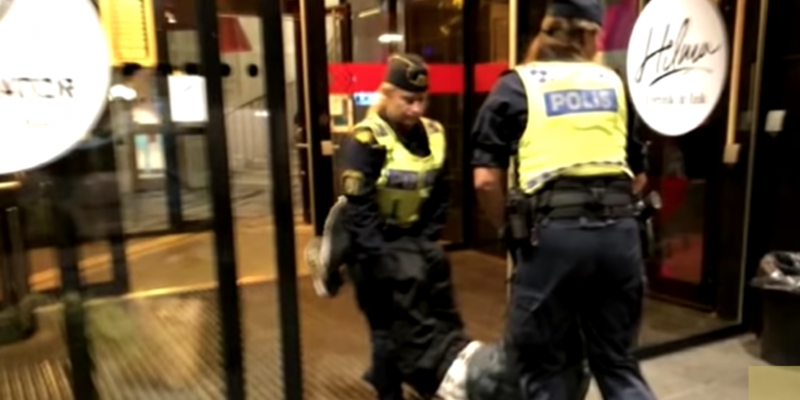 Another big story this week was the accusation by state media that police in Stockholm, Sweden, treated three Chinese tourists cruelly by refusing to let them remain in a hotel many hours ahead of their scheduled booking. Cue online rage — and some skepticism too. On September 15, the official nightly news program Xinwen Lianbo (新闻联播) reported that China had uncovered a major Taiwanese spy operation in 2018. The “Focus” news program on China Central Television ran a two-part special program called “Wei Qing Die Ying” (危情谍影) over two consecutive days, introducing what it characterized as several “representative examples” of breakthroughs into alleged Taiwanese espionage operations. According to official news reports, Taipei had sought to lure mainland Chinese students in Taiwan into taking part in spying activities. For this sensitive story, the only sources available inside China were official state media sources, and reports showed little or no variation in facts and details. Experts commenting on the coverage outside China said the case reflected growing tensions between China and Taiwan. On September 15, film director Guo Jingyu (郭靖宇) exposed through his social media account the problem of ratings fabrication for television serials in China, writing that before his latest serial, “Niang Dao” (娘道), was broadcast a satellite broadcaster he did not name demanded he purchase ratings before the program could be broadcast. Guo called on the television industry to unite against such practices, rooting out the problem of false ratings. Guo also alleged that another of his serials, “Tian Sheng Chang Ge” (天盛长歌), was dropped by a broadcaster after just 14 episodes because he could not afford to pay their exorbitant ratings fees. On September 16, the National Radio and Television Administration (NRTA) announced through its official WeChat account that it was launching an investigation into the practice. One has to wonder: How could officials at the NRTA have been previously unaware of such abuses? The National Radio and Television Administration (NRTA) announces through its official WeChat account that it will launch an investigation into fraudulent ratings. On September 15, Chinese media widely reported the story of the alleged abuse of three Chinese tourists in Sweden that took place almost two weeks earlier, on September 2. The coverage ran at many outlets under the headline “Chinese Tourists Cruelly Treated by Swedish Police” (中国游客遭瑞典警察粗暴对待). The story quickly became the focus of anger and heated debate within China, with opinions divided. For some, the story was confirmation that Westerners apply a double standard to Chinese, treating them with prejudice and disdain. For others, the story once again highlighted ugly behavior by Chinese tourists abroad, who lashed out with extreme actions when rules or misfortunes went against their favor. Still others, noting the high-level register of anger from China’s Ministry of Foreign Affairs over what they felt was a trivial matter suggested the real issue was diplomatic tension between China and Sweden. Screenshot of video shared online of Chinese tourists in Stockholm, Sweden, being forced out of a local hotel. The incident in question occurred on September 2 outside Generator Stockholm, a hotel located in the center of Stockholm. A Chinese guest, Mr. Zeng, arrived with his parents after midnight, with a room booked for later in the day — with check-in generally not possible, as most travellers should know, until mid-morning or early afternoon. Mr. Zeng suggested they be permitted to wait in the chairs in the hotel’s lobby. Staff at the hotel called the police, who according to accounts in the Chinese media then dragged Mr. Zeng’s father from the hotel. When a police vehicle arrived, the three Chinese were placed — “forcibly” (强行) according to official Chinese media reports — in the vehicle and taken to the skogskyrkogården area of Stockholm, near a subway station, church and cemetery. The Chinese Embassy in Sweden said publicly that it had on numerous occasions tried to hold “serious negotiations” (严正交涉) with the Swedish side over the incident. 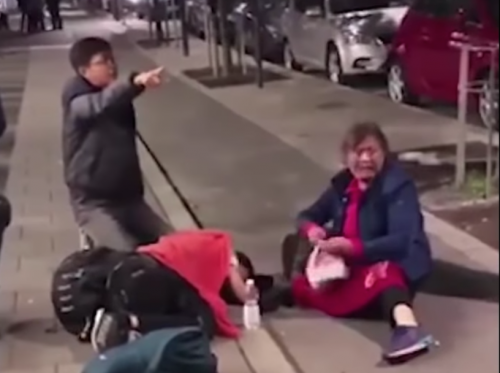 While the position in Chinese media coverage clearly focused on the incident as an outrage against Chinese tourists, some internet users also questioned whether Mr. Zeng and his parents had “unreasonably made a scene” (撒泼) and “acted out to demand special treatment” (碰瓷), both relatively common behaviors in China. Before long, these criticisms were also attacked in state media as anti-China conspiracies. On September 19, the WeChat public account “China Anti-Cult” (中国反邪教) ran an article called “Behind the Inverted Storyline of the Chinese Tourism Incident in Sweden: What is Hiding There?” (中国游客瑞典受辱事件剧情反转的背后，究竟藏着什么?) . 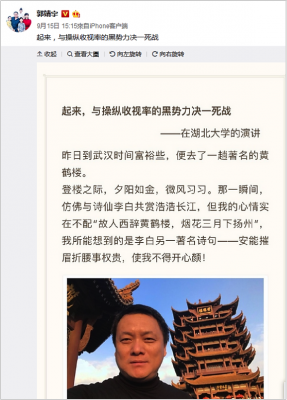 The article alleged that the Falun Gong spiritual cult overseas had sought to tar the reputations of Mr. Zeng and his family by accusing them of “making an unreasonable scene” (撒泼) and “stirring up trouble” (胡搅蛮缠). On September 20, the WeChat public account “People’s Daily,” the official WeChat account of the flagship newspaper of the Chinese Communist Party, re-posted the article. The 20th annual gathering of the Chinese Economists 50 Forum was held on September 16 at China’s historic Diaoyutai Guest House. This year’s event commemorated the 40th anniversary of economic reforms in China. The theme of the forum was “New Missions for Reform and Opening in the New Era” (新时代改革开放的新使命), a title making obvious reference to the banner ideology of President Xi Jinping, “Xi Jinping Thought of Socialism with Chinese Characteristics for the New Era,” which has been prominent in the official discourse across disciplines since entering the Party Charter in October last year. Screenshot of the official website of the Chinese Economists 50 Forum. The consensus among those commenting on this year’s meeting seemed to be that the views being aired regarding the state of the domestic economy were unusually frank. The state and role of the private sector was reportedly an issue of intense interest, particularly given the recent post by economist Wu Xiaoping (吴小平) arguing that the private sector should now take a back seat to the private sector so that China could consolidate its national strength and effectively counteract the trade actions taken by the United States — a view that last week was criticized by some state media. Ma Jiantang (马建堂) the deputy director of the Development Research Center of the State Council, said at the forum that the concerns of many in the private sector have to do with fair competition, insufficient rule of law and inadequate intellectual property protections. Other issues, he said, included debt and financing. But the deeper question addressed at the meeting was “how to view the private sector” (怎么看待民营经济). A common theme in discussions at the forum, related to all of the above concerns, was the phenomenon of “the state sector advancing while the private sector recedes” (国进民退). On September 14, the Chinese mobile content provider Qutoutiao Inc listed on the Nasdaq exchange. In its initial share prospectus, the company said it was considering the provision of “special management shares” (特殊权利股份) to a Chinese state-owned enterprise in order to advance its application for an “Internet News Service License” (互联网新闻服务许可证). In August this year, a foundation directly under People’s Daily Online and Shanghai -based news group The Paper (澎湃新闻) both became strategic investors in Qutoutiao. 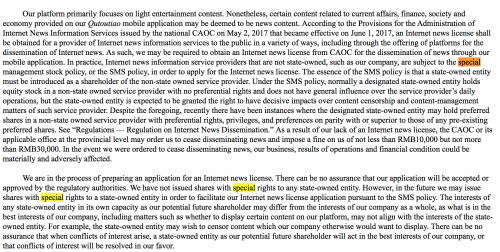 In its initial share prospectus from August 2018, Qutoutiao explains how it might in the future issue “shares with special rights” to a state-owned Chinese company in order to obtain an internet news license. In order to better exercise control over information platforms, the Central Office of the Chinese Communist Party and the General Office of the State Council released in January 2017 a document called “Opinion on the Healthy and Orderly Development of the Mobile Internet” (关于促进移动互联网健康有序发展的意见), which proposed “the carrying out of pilot projects in the holding of special management shares in [companies] in sectors such as online information and online video. In May 2017, the Cyberspace Administration of China (CAC) released new regulations called “Provisions for the Administration of Internet News Information Services”(互联网新闻信息服务管理规定), which included language about “implementing a special management share system for internet news information service providers meeting the criteria.” Wang Sixin (王四新), a professor of politics and law at Communication University of China, said the “special management share” system is directed principally at news and information platforms that have already “developed strongly” (做大做强), a Chinese phrase that generally refers to firms that have scaled to include a range of information services. The special management share system, he said, is about making sure that the state has “voting rights” (表决权) where these major platforms are concerned. There are already precedents for the special management share approach. In January 2017, the personalized news reader platform ZAKER received major investments from the Guangdong South Media Integration Development Investment Fund (广东南方媒体融合发展投资基金), the Shenzhen Newspaper Group (深圳报业集团), Jiangsu Modern Express Media Co., Ltd. (江苏现代快报传媒有限公司) and other state-invested media firms. In August 2017, People’s Daily Online announced that it had purchased at 1.5 percent stake in the website Tiexie.net (铁血科技), making the site an early pilot in the special management share concept.